Tuesday February 12, 2019 - Former Gatanga MP, David Murathe, is a political conman who has been using the name of President Uhuru Kenyatta and his younger brother, Muhoho Kenyatta, to con Kenyans of their hard earned money. 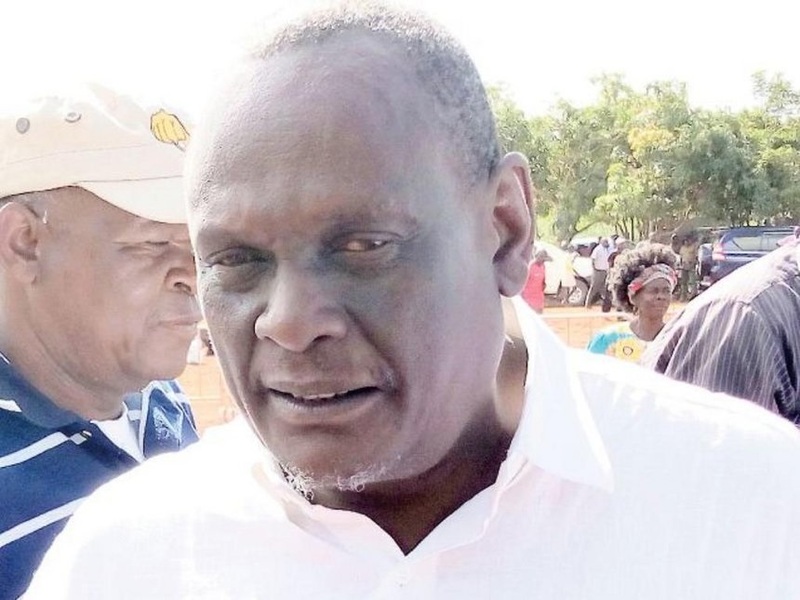 Though he pretends to be close to the First Family, sources said Murathe is among those street conman who drop the name of President Uhuru Kenyatta to intimidate others and pretend to be close to power. Those who have fallen prey to Murathe’s cunning ways include Chinese investors, who have had to part with millions of shillings to secure contracts from the Government. Most of these Chinese investors are now crying foul after they parted with millions but failed to secure any contract. To facilitate the conning, Murathe has printed business cards indicating that he is the President’s Special Advisor on Economic Affairs. According to State House, Murathe is not among President Uhuru Kenyatta’s advisors. “He is a busybody who pretends to be close to the President but everybody knows that the President isn’t his friend,” said an insider. The former Jubilee Vice Chairman, who lives in Garden Estate, Nairobi, hosts Chinese and other investors at his residence where he roasts meat and drinks, particularly Jameson. During this goat eating parties, Murathe pretends to receive a call from the President instructing him to give a tender to someone specific. This is meant to dupe the investors because the call is made by a well-known wheal dealer who he has saved in his phone as UK (Uhuru Kenyatta). He employs this tactic to also coerce Principal Secretaries in different Ministries. “One of his victims was former Director of Immigration, Jane Waikenda,” said a source. Waikenda was sacked by Uhuru for illegally giving work permits to foreigners. Murathe was the mastermind of this scandal. kwehi shetani ni yule yule ame vaha ngozi ya connection to the vampire with no clue of what is happening cos it's always high on drugs or pombe za keroka - the jezebel of Kenya.